Since 1901 our Church opened its doors to those wishing to investigate and worship the religion of Spiritualism. We cannot accurately account for our earlier days as records were lost. The little that we do know is presented below. EAS is the second oldest Spiritualist Church in Scotland (second to Glasgow Association of Spiritualists). Although we can chart our history back to 1901, it is evident that our Spiritualist pioneers were active long before then. No doubt in the late 19th century society was experiencing a time of great social change. Darwin’s theory of evolution (1859) led many to re-evaluate their religious beliefs and saw the growth of a new spiritual movements, including modern Spiritualism. 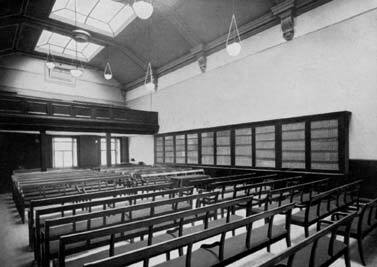 In fact, early accounts of Spiritualist meetings taking place are recorded in 1873, when The Psychological Society was formed by Dr G B Clark, who recounted sitting with medium Mr Duguid from Glasgow. By looking at archived classifieds some inferences can be made. Throughout most of the 30’s and 40’s Mrs Helen Hughes seems to be the most prevalent medium appearing at the church. 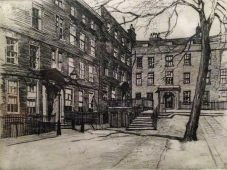 In the book ‘The Mediumship of Helen Hughes by Bernard Upton’ it says that, “the first Spiritualist church in Scotland at which she demonstrated was at Gayfield Square, Edinburgh, which she visited shortly before travelling to Glasgow”. Helens guide was ‘White Feather’ and she quite often performed her mediumship to crowds in their thousands. As well as appearing at Gayfield she also served on a regular basis at the Psychic College and the Glasgow Spiritualist Church as she loved serving in Scotland. 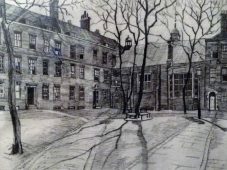 The Church remained at Gayfield Square until 1955 when it bought larger premises at 14 Forrest Road. 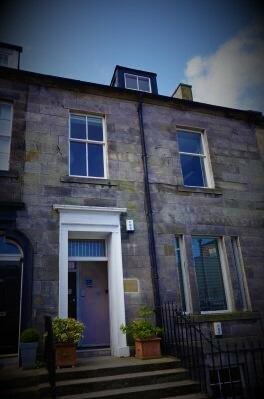 In 1971 new premises were purchased at 246 Morrison Street, where we remained until moving to our current premises at 25 Palmerston Place in 2011. Tickets, 2/6 (Reserved), 1/6, 1/- and 6d. METHVEN SIMPSON, LTD., 83 Prices Street. Services on Sunday at 11.15 and 6.30. QUEEN’S HALL, 5 QUEEN STREET. CONCERT IN QUEEN’S HALL – In aid of the building fund of the Edinburgh Association of Spiritualists a very enjoyable concert was given in the Queen’s Hall, Queen Street, last night. The artistes were Miss Jessie Crombie, soprano; Mr Robert Hall, elocutionist; and Master G. Mackenzie Reith, violinist; and Mrs H. H. Adams at the piano. Services on Sunday at 11.15 and 6.30 P.M.
Speaker – Mr DAVID SMITH, GLASGOW. Clairvoyante – Mrs AITKEN, RUTHERGLEN. At 11.15 and 6.30 P.M. NOTE – Evening Services : Doors will be open at 5.30. A few seats will be reserved, One Shilling Each. At 1 o’clock – Children’s Lyceum, at which a Baby will be Christened. “One of the well-known clairvoyant mediums with whom Maurice Barbanell was acquainted is Tom Tyrell of Blackburn, England. A passage from Power of the Spirit offers a remembrance of his mediumship. Founded 1901. CHURCH, 9 GAYFIELD SQUARE. during the week. Full particulars at Sunday Services. SUNDAY ON BEHALF OF THE BUILDING FUND OF THE CHURCH. Christmas Social, THURSDAY 25th at 5PM. Feb 12th 19th 1927 Miss A TAYLOR, BURY. 9 Gayfield Square. – Services at 11.15 and 6.30. Speaker and Clairvoyant. Mr B. West. Speaker and Clairvoyant. Rev. W. HEALD. 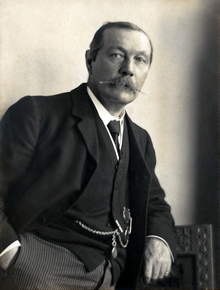 LANTERN LECTURE by Mr HOPE, showing Psychic Photographs. please communicate at once with Treasurer. Wednesday at 3 o’clock, Miss MITCHELL. Silver Collections at all Meetings. Mr W R OWEN, Dublin. Speaker and Clairvoyante – Mr AARON WILKINSON. Speaker and Clairvoyante – Mr RIDGWAY, SOUTHPORT. Tickets 2s, 1s and 6d at 9 Gayfield Square and The Book Shop, 42 George St.
9 Gayfield Square. – Affiliated to Spirit. Nat. Union. Services at 11.15 and 6.30 pm. Speaker, Mr McFARLANE. Clair., Mrs HILL, GLASGOW. 9 Gayfield Square. – Affil. S.N.U. Services at 11.15 and 6.30 pm. Speaker and Clairvoyante – Miss GOODWIN. 9 Gayfield Square. 11.15, 6pm Wed, 3pm. Mrs HELEN HUGHES. 7Pm Thurs. Mrs McCULLOCH. Members 6d. Mrs Helen Hughes, Clairaudient. at 7,30 p.m. Speaker, Rev. D G Livingston. Clairaudient, Mrs HELEN HUGHES. Non-Members 1s. All this information was lost somewhere between Gayfield and Morrison Street. Thanks to the wonderful resource of The Scotsman Archive we have been able to piece together some of the history of the church from old classified ads so our thanks go to them and Edinburgh Libraries.